Consistently low water pressure, routinely rusty water, constantly clogged and leaky pipes … sometimes, plumbing systems need to be replaced. If your Stamford residential or commercial plumbing needs replacement and installation, JNR Plumbing LLC has the right resources to successfully complete the project on time, on budget, and on point. If your Connecticut Gold Coast home or office has aging or deteriorating pipes, replacing them could save you costly, time-consuming, and messy repairs down the road. Left untreated, those decaying pipes could corrode, leak, clog, and leave your property with inadequate water pressure and poor water quality. To assess your replacement options, contact the professional and local team at JNR Plumbing. 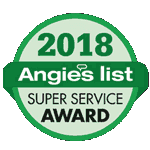 Our qualified and knowledgeable technicians can visit your home or business, determine the condition of your plumbing system, locate any problems, and offer effective solutions to meet your specific needs. Once our technicians have helped you select the most effective solution, we can begin the installation process. Whether we are installing a water supply system, a drainage system, or new fixtures, our expert team can utilize current plumbing procedures to find the best placements, sizes, materials, and pipe routings for the project. In a home or office renovation, we can help you reconfigure your bathroom and kitchen spaces and offer suggestions regarding fixtures, supplies, toilets, showers, tubs, food waste dispensers, and waterproofing options. Whatever your specific installation needs, we will work closely with you to determine the installation timetables and competitive pricing that best serve you. JNR Plumbing provides new plumbing installation and plumbing replacement for residential and commercial clients throughout southwestern Connecticut. We are licensed, insured, and qualified to get your plumbing replacement and installation projects done right the first time around. Call us today to learn more about our plumbing services and see how our team can work for you. From replacing to installing and maintaining, we are the local industry experts you can rely on for all your residential and commercial plumbing projects.